Q. How shipment works for Amazon orders. A. We provide online panel to Amazon seller to manage their shipment which is fully automated. Which means the merchant does not need to go to the courier companies panel to get the AWB number or to get the tracking details, all the process like the AWB number allocation, Printing of the Shipping Label, tracking of the order and the pick-up notification happen on the panel (only FedEx and Aramex pick-up is automated). Over and above this Amazon sellers on a click of a button Import all orders from their Amazon panel to their ShipRocket platform and from there process shipping of the orders, also once the orders a processed they shipping information can be sent to the Amazon panel in a bulk Fashion. Q. How does automatic shipping work? When you receive an order the system provides you with several shipping options based on the pincode serviceability of the courier companies. And then simply from the list select the courier company that is either the cheapest or most trustworthy..or may be both. We provide an online shipping platform to merchant to manage their shipmentsin a fully automated fashion. Which means the merchant does not need to go to the courier companies panel to get the AWB number or to get the tracking details, all the process like the AWB number allocation, Printing of the Shipping Label, tracking of the order and the pick-up notification happen on the panel (only FedEx and Aramex pick-up is automated). Over and above the automated shipping, Amazon sellers on a click of a button can Import all their orders from their Amazon panel to their ShipRocket platform and from there process shipping of the orders, also once the orders a processed they shipping information can be sent to the Amazon panel in a bulk Fashion. Shiprocket offers its merchants the best rates in the market form the best courier companies and logistics providers in the country and International. No more worries of huge shipping costs and minimum billing. 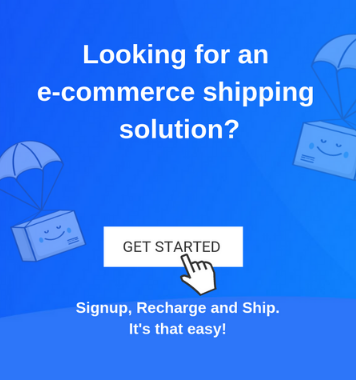 Shiprocket with it conglomerate of impanelled courier providers offer more than 12000 pre-paid and over 6500 COD pincodes all across the country, which is more than most of the best know ecommerce companies in the country. Since we have API based real-time integration with all courier companies on our panel, you will be able to see a list of couriers that provide service to an order. Pick one, and a Way Bill number is generated automatically. A shipping label is also generated on the fly. Then you select the orders you want to dispatch, and generate a pick-up.It’s really that simple. We also collect and reconcile Cash On Delivery on your behalf and remit the same in fixed batches. Q. Do we provide multi-point pickup? A. Currently this feature is not available in our platform, but it is on the roadmap and will be available very soon. Q. Who will do the packaging? A. Its merchant responsibility to pack his article after assigning order. Q. What about the pickup? A. There is a button “Generate pickup” to assign pickup. So, after assigning order,merchant need to click on generate pickup and he will get the confirmation message with token no. and pickup boy will come at merchant registered address for pick up. The process may vary from provider to provider. Q. Can merchant ship there orders other then Amazon. A. We have a product “Shiprocket” through which you can ship all your orders including Amazon, e-bay, etc…To get the shiprocket plan click on www.shiprocket.co / Download proposal here. Q. How is customer notified? A. Systems comes inbuilt with SMS and Transactional Email, which are sent to the customer at different important intervals during the delivery process. Q. What are the point merchants should keep in mind while processing order. A. Following are the points merchants should take care off. Cut off time to generate pickup is before 15:00hr Mon-Sat. No pickup is generatedon Sunday. Always take signature and Mobile no. of pickup boy on manifest for record. Update shipping information on Amazon panel after assigning order. Q.What are the process to ship Amazon order. Hi, thanks for the applaud we’re glad you liked this article. Stay tuned to learn more about shipping facts & trends.